15 shows, 13 hours travelling, 3 days, countless cups of coffee and a few hangovers: it can only be a whistle stop tour of the Edinburgh fringe. 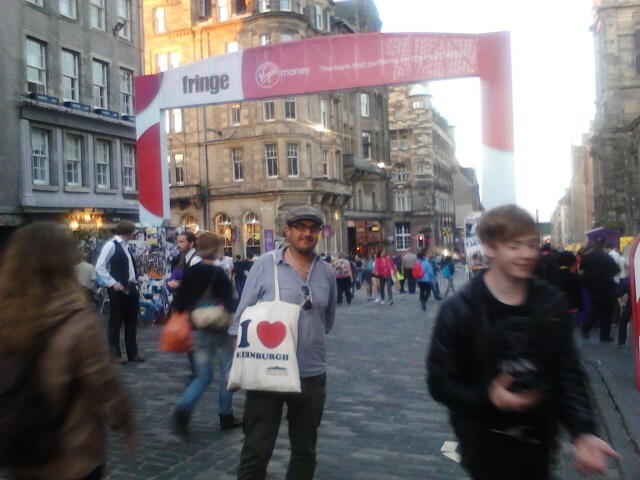 I spent last week in the (rather unusual) glorious sunshine in Edinburgh taking in some of the delights of the fringe. 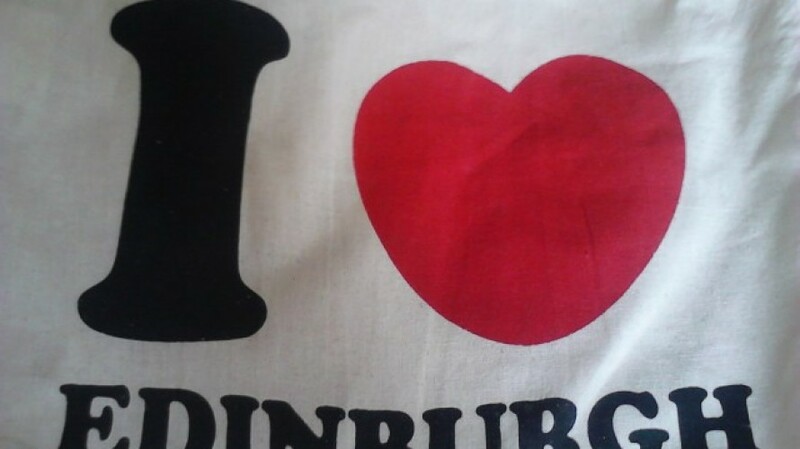 Every year there is more speculation about how Edinburgh will cope under the weight of yet more acts and increasing commercial takeover but my sense of optimism is almost always renewed by the fringe. Thousands of people relinquishing any semblance of normal life to spend a month in a fringe shaped bubble, flyering in the rain and hoping against hope that it might just change their life with that elusive Fringe First and transfer. It’s sort of like X Factor, except with a gazillion more judges and no one cares about your sob story: if you’re crap, that’s that. But it’s about hope, ambition and risk and that is what makes my heart sing. This year was an odd one for me personally as I somehow managed not to see anything truly terrible (I was almost disappointed, this is a yearly ritual in Edinburgh) but I also didn’t see anything that truly, truly blew me away. I guess this gets harder each year, as the competition from previous years stacks up, but I entered each show with the breathless anticipation that this might be the one (although, to be fair, it could have just been the surprising heat). Kitson was great as usual, but it wasn’t my favourite of his shows; I was surprised and delighted by Nabokov’s Blink, startled by curious directive’s ambition, impressed by the strong voices coming out of the Old Vic New Voices programme, moved by Theatre ad Infinitum, but nothing really wowed me. Perhaps I have become a bit too Stewart Lee about it all. Take a risk: see something wacky, off the wall that could only happen at the fringe. 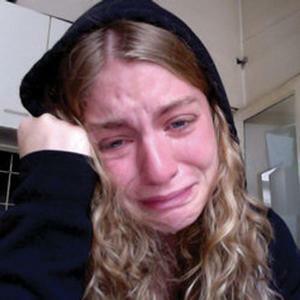 This year my tip would be XXXO, two Belgian girls crying for an hour, by turns surprising, uncomfortable and downright weird. The Home and Away skit was lost on me, but I loved the tuna – see it and see what I mean. Don’t take too many risks: Plan in some dead certs. Anything at the Traverse normally counts: this year Blink, a surprising and unusual love story, by Nabokov and Ontroerend Goed with the profound (and Drum co-produced) All That is Wrong. Daniel Kitson, also at the Traverse as well as doing his stand up, is always reliable. The Old Vic New Voices season at the Underbelly is also well worth a look: work made by young theatre makers about (on the whole) young people which is raw and refreshing. Try something new: There are always new venues making their mark, such as St Stephen’s curated by Northern Stage, who have diverse range of work including Daniel Bye and Rash Dash and a great café. Avoid the Royal Mile like the plague – you don’t need to have excerpts from Hamlet: The Musical hollered at you or fall over student theatre groups pretending to be dead as a publicity stunt. If it all gets too much, climb up Arthur’s Seat and survey Edinburgh’s majestic skyline for a true dose of perspective: it’s all only pretending after all.